Here is a unique, contoured bevel design that creates a radiant award. 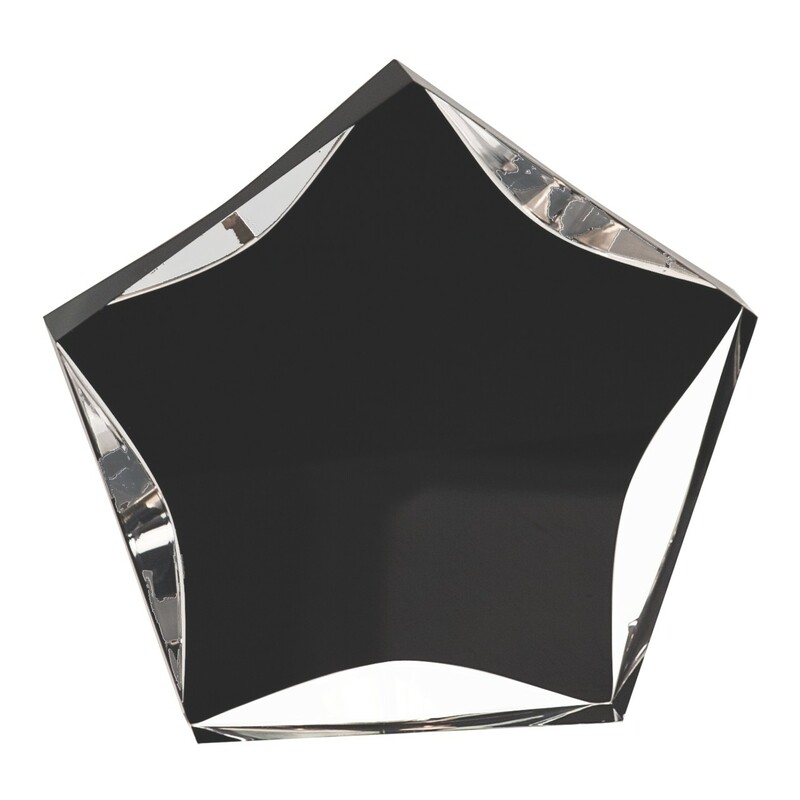 The Clear Luminary Black Star Acrylic Award has a mirrored luminary process that really shines. Available in three convenient sizes, this popular star shaped award will be a sure hit at your next corporate awards event.